Cannabis Career Institute, America’s Premiere Business Seminar will be at the Radisson Hotel April 27th. First-ever Rhode Island Medical Marijuana School. CCI teaches principles of business entrepreneurship on Sat., April 27 9am to 7pm. Warwick, Rhode Island– April 27 2013 – Some may feel the ‘Gold Rush’ is a euphoric money-making idea stuck in the distant past. Wrong. 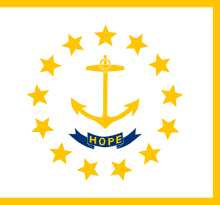 The Ocean State has just now unleashed an economic tsunami, the results of which can’t even be imagined. The first mini-wave just crested recently when Rhode Island opened its first-ever legal medical marijuana dispensary. The industry is seemingly poised for unimaginable growth and profits. Now individuals can easily be part of it–by simply learning the proper ways and means to go about opening and running a medical marijuana business at the Cannabis Career Institute (CCI) The school doesn’t teach you how to covertly grow a huge crop of ganja plants. The Cannabis Career Institute is informative and also stays within the state law’s guidelines. Conservatively speaking, according to Robert Calkin, national medical marijuana expert and founder & CEO of CCI (and one of the school’s instructors), the average dedicated and focused dispensary owner that grows and distributes medical marijuana can potentially earn upwards to $10,000 per day- an average master grower could make $250,000 a year! Profits like this are really relatively easy if one knows how and diligently applies the knowledge that can be gained in the school. The school offers education-friendly classes and instructors guiding students from to A-to-Z on the art and science of establishing and maintaining a successful delivery service as well as a dispensary business. The classes will cover legal and compliance aspects, marketing, operating, budgeting, growing, cooking, and more. CCI has been launching full-range medical marijuana classes elsewhere throughout the nation for over five years. Taught by highly skilled instructors, students will be armed with the knowledge to open and run their own medical marijuana business after successfully attending the school. What’s the catch? Students have to sit through an all-day class (yeah, but “we make it very fun.”) Individuals must pay the low enrollment fee of $249. Please compare this to going through years of very costly and laborious schooling, only not to really know if an individual might need to change their career once they graduate due to the economy. A potential return can be immense for a relatively minimal personal investment. In addition, if the student needs a refresher class–that is not a problem. Cannabis Career currently offer a lifetime enrollment.- it’s free to attend any class, at any time, as long is space is available. The debut of the first-ever Rhode Island all-day school is Saturday, April 27, at the Radisson Providence Airport Hotel in Warwick, 2081 Post Road, from 9 a.m. to 7 p.m. You will have the opportunity to learn the principles to establish a successful business, and personally meet and talk to leading business experts in the field, including accountants, attorneys, grow experts, edible experts, strain experts and more. Students have the option of purchasing the accompanying textbook, as well as a wealth of other training materials at the class and online. Media interested in attending the pre-class Q & A session on 4/26 at 1:00 Radisson Hotel Providence must first complete and submit a credential request form at http://www.cannabiscareerinstitute.com/mediaform.htm no later than April 25 at 5 pm. Media spaces and times are very limited. First come, first served. Cannabis Career Institute (CCI), http://www.CannabisCareerInstitute.com , was founded in March, 2008, by Robert Calkin, and is now the second oldest school in the nation. There are over 2,000 successful graduates, currently hailing from at least 10 U.S. cities, including Sacramento, Phoenix, Boston, Seattle, Las Vegas, and Los Angeles. This year is ripe for CCI’s phenomenal growth, with up to 30 more U.S. and Canadian cities planned to launch medical marijuana educational curriculums. More than just emphasizing the delivery aspects of marijuana, CCI classes are focused on providing a complete medical marijuana business education–incorporating legal aspects, business dispensary planning, and the marketing principles necessary to be successful in this burgeoning industry. In addition to hosting a growing number of medical classes around the country, CCI offers a wide array of other exciting cannabis career opportunities: jobs, online classes, one-on-one consultations on delivery, dispensing, cooking, and other services.